This is one gorgeous stainless steel guitar pick necklace! I love this beautiful tiny cross and guitar I added to this lovely turquoise guitar pick necklace. This guitar pick necklace can be worn as a necklace or a bracelet. 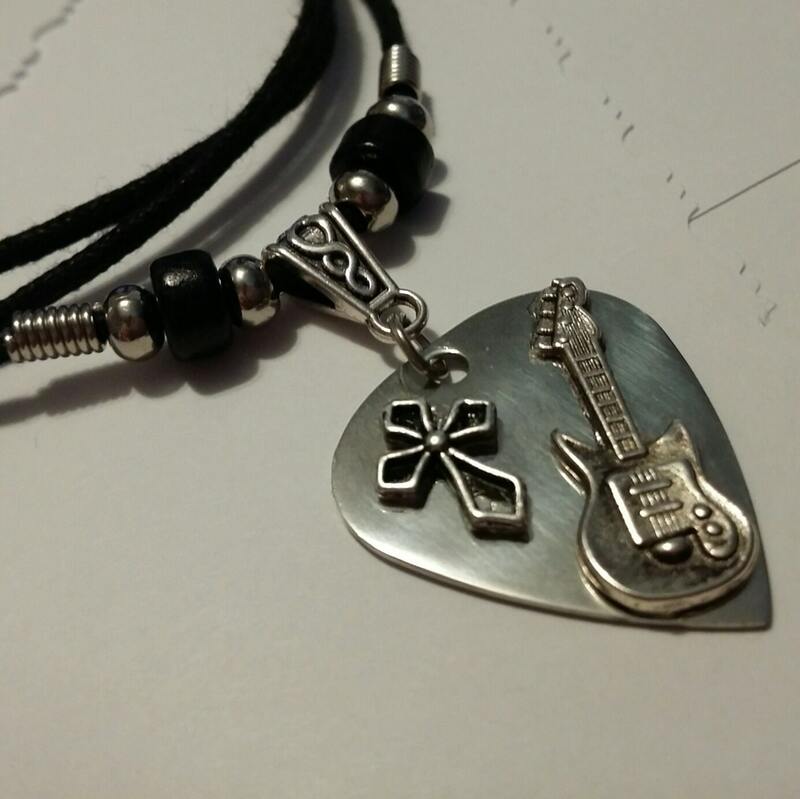 This Guitar pick necklace is strung on an adjustable 2mm black cotton cord and has black ceramic beads This guitar pick necklace has metal springs and metal beads to add contrast to this piece. Looks really sharp! It measures 18" at it's smallest diameter and 24" inches when it's expanded by simply sliding the cord through the slip knots. ***If you'd like more than one, please convo me and I'll place a Reserved Listing on Etsy just for you!